Should I order an extra small (child sized), small, medium, large or extra large AngelBonnet™? Small, made from a 20-inch square of fabric. 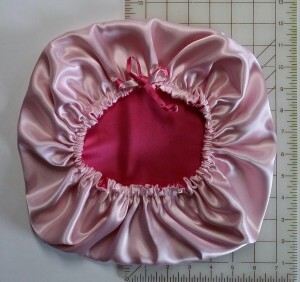 Small AngelBonnets™ are made from a 20-inch square of Charmeuse Satin. Select either a square or circle shaped AngelBonnet™ when placing your order. Use a measuring tape to measure around the top of your head and hair from the top of one ear to the top of the other ear. 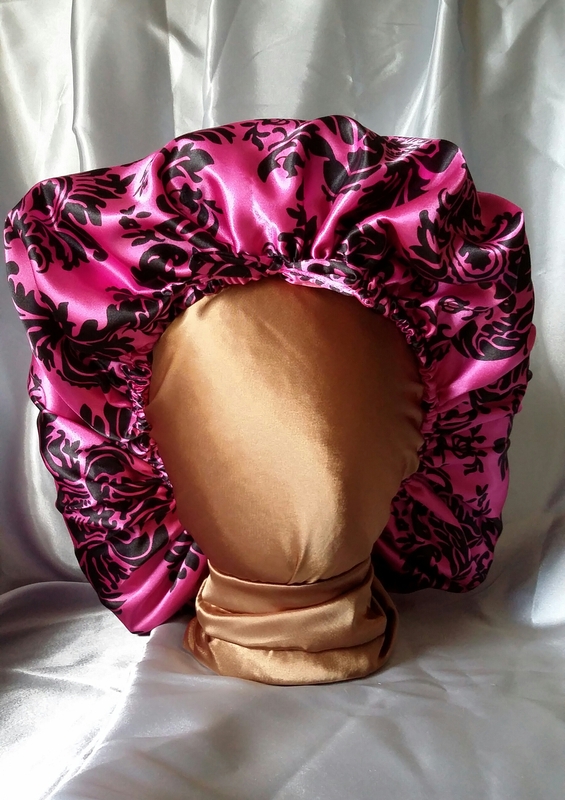 If you prefer to wear your bonnet below your earlobes, measure from the bottom of one ear lobe around the top of your head to the bottom of the other earlobe. Allow enough slack for a comfortable and easy fit around your hair. If the measurement is 16 to 20 inches, order a small Ready-made AngelBonnet™. 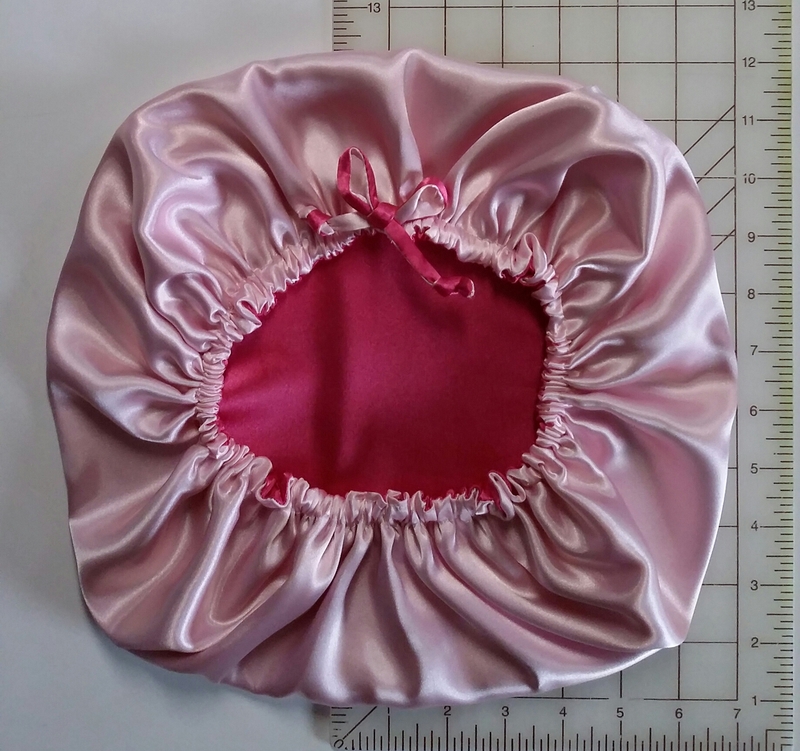 If the measurement is less than 16 inches, order an extra small Ready-made AngelBonnet™ or contact Help@AngelBonnets.com for a custom order consultation. Medium, made from a 24-inch square of fabric. 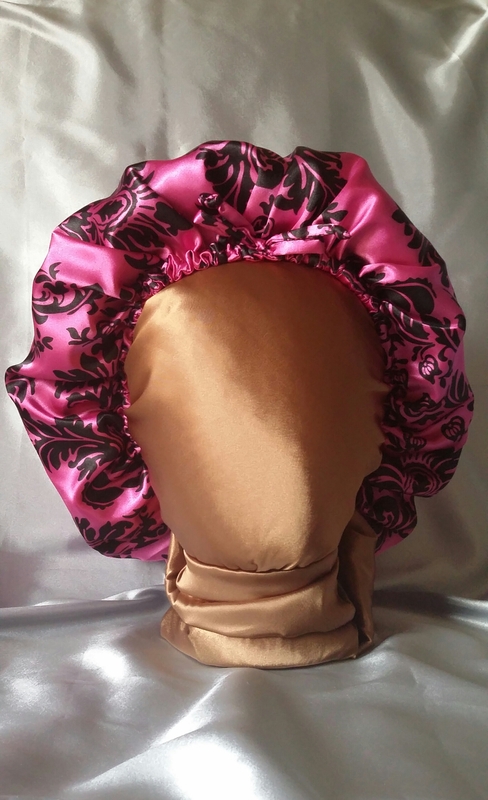 Medium AngelBonnets™ are made from a 24-inch square of Charmeuse Satin. Select either a square or circle shaped AngelBonnet™ when placing your order. Use a measuring tape to measure around the top of your head and hair from the top or bottom of one ear to the top or bottom of the other ear. Allow enough slack for a comfortable and easy fit around your head and hair. If the measurement is 20 to 24 inches, order a Medium Ready-made AngelBonnet™. Large, made from a 28-inch square of fabric. Large AngelBonnets™ are made from a 28-inch square of Charmeuse Satin. If the measurement described above is 24 to 28 inches, order a large AngelBonnet™. If the measurement if 28 to 32 inches, order an extra large AngelBonnet™. Select either a square or circle shaped AngelBonnet™ when placing your order. If the measurement is or more than 32 inches, contact Help@AngelBonnets.com for a Custom-made AngelBonnets™ consultation. Should I order a standard square or circle shaped AngelBonnet™? The standard square AngelBonnet™ is a roomier bonnet. 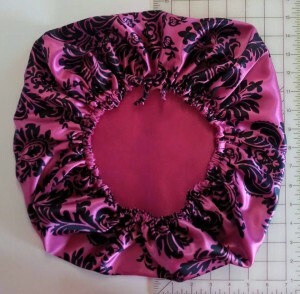 The corners of the square of fabric are rounded to make a square bonnet with more room for your hair. 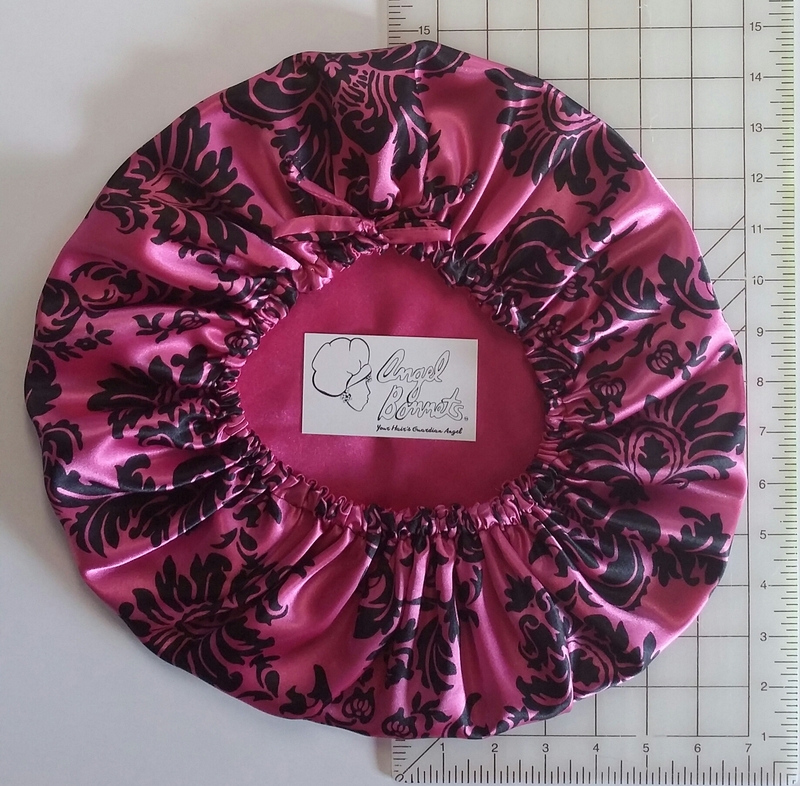 The square bonnet with rounded corners also means there is less fabric wasted when making the bonnet. Fabric is sold in square yardage. 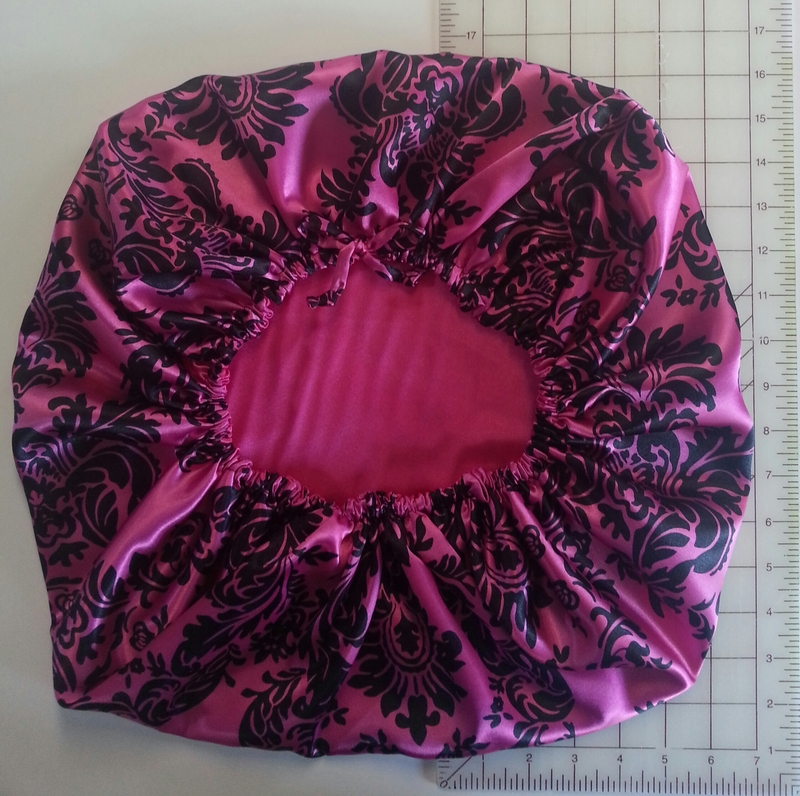 Making a square shaped bonnet means more fabric in your bonnet and less fabric trimmed as waste. If you have hair that flows or hangs at or past your shoulders, the extra space at the back of the bonnet gently envelops your hair in satin. Compare the Medium Standard Square AngelBonnet™ and Medium Circle AngelBonnet™ in the pictures below. If you’d like a roomier bonnet made with less waste, please choose the Standard Square AngelBonnet™.